Apple has been on a mapping-related acquisition spree in recent months as it works hard to erase the stigma earned after Maps’ botched launch in late 2012. Although accuracy has improved since then and the app has received new data and imagery, one of the most cited omissions remains the lack of built-in transit support. That’s finally expected to change when iOS 8 arrives later this year, according to reports. 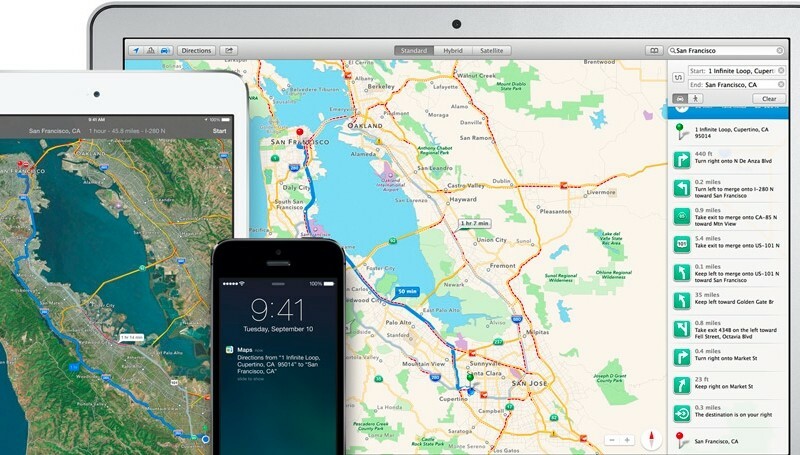 Unnamed sources cited by 9to5mac are saying that data from recent acquisitions Embark and HopStop will be combined in a newly revamped version of Maps for iOS 8. Public transit information and directions will reportedly cover train, bus, and subway data but only in select major US cities initially. Transit directions will be available within the Directions panel as another option alongside Driving and Walking, and as a new mapping view alongside the Standard, Hybrid, and Satellite views. The latter essentially works as an overlay that makes it easier to spot train stations, airports, and bus stops on a map. The updated Maps application will also be injected with new points of interests and new labels to make places such as airports, parks, train stations, bus stops, highways, and freeways easier to find, 9to5Mac reports. While these improvements are in the pipeline for 2014 the company has also begun work on other features for 2015 and beyond. Among them are ways for integrating indoor mapping views -- which rivals like Google Maps and Nokia Here already provide -- enhanced car integration, and an augmented reality layer that leverages the iPhone’s compass to highlight nearby points of interest from a street-level view.